An increasing number of enterprises are having to replace orphaned equipment unexpectedly and are under pressure to remain dynamic in an increasingly competitive landscape. According to Gartner, Cloud communication solutions have “become [the] preferred choice due to superior economics, flexibility, reliability, security and scalability.” Furthermore, the rich UC features the cloud offers are difficult and expensive to match with premise-based solutions. Cloud UC will account for 25% of 2017 line shipments according to telecom and IT analyst firm MZA. And globally we estimate that Cloud will overtake premise shipments within 4-5 years.Given these timeframes, and the risks and opportunities at stake, enterprise IT decision makers must take notice. 2017 may well be the year to act. Mobility is well established as a key priority for enterprises. This has led to a proliferation of mobile devices, and the mobile phone has become perhaps the most indispensable business tool. But the user experience of real-time unified communications on mobile devices has not quite kept pace.Today, many UC applications are so-called “over the top” – downloadable apps that use whatever data connection is available. This is adequate for messaging and file sharing, but often falls short for critical real-time functions such as voice and video. Poor mobile data or WiFi connections leads to patchy connections that are not appropriate for business use. However, in 2017 dramatic progress is expected, led by mobile operators and device manufacturers that are implementing solutions which deliver high quality native mobile connections and integrated business features on mobile devices. Services such as Vodafone’s One Net in Germany, and Verizon One Talk in the US allow a single business number to be associated with multiple devices over standard high-quality mobile connections.Alongside this, device manufacturers are augmenting the native dialer with business features and providing tools for seamless integration of business apps. Notable examples are devices with native dialer support for Verizon One Talk and Apple’s recently released Call Kit integration tools. As these capabilities roll-out in 2017, they will enable mobile operators to finally deliver business services that are clearly differentiated from their OTT competitors. Artificial intelligence (AI) and predictive analytics were not long ago restricted to research and highly specialised applications. Recently they have found widespread use in consumer applications such as Apple’s Siri Assistant. And now they are being commercialised rapidly for a variety of standard business applications. In 2017 unified communications and team collaboration applications will also begin to benefit significantly. AI will address many productivity pain points business users endure today – particularly the 2.5 hours per day a knowledge worker spends just searching for information according to IDC. Built-in AI will be able to search through all a business user’s cloud applications to find the documents, messages, social profiles and any content relevant to the conversation or meeting they’re having. This will enable workers to collaborate effectively within one UC application while having the relevant content at their fingertips – thus reducing the distractions and loss of productivity that can result from failed attempts to multi-task. 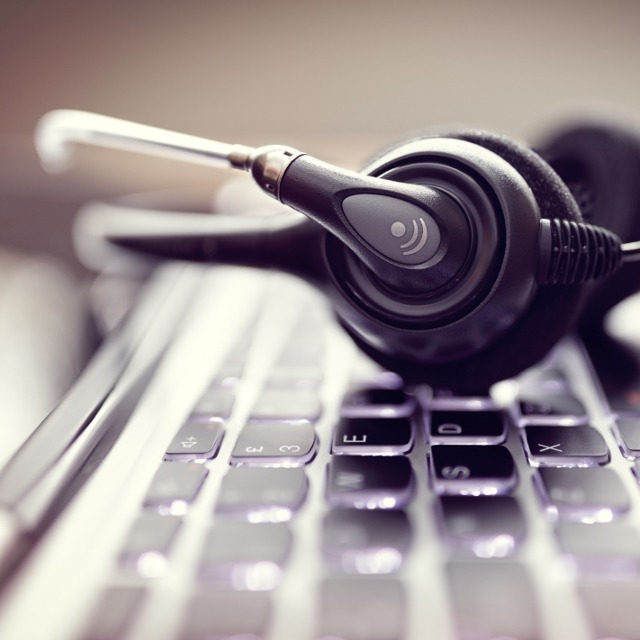 Call centres are another key application domain for AI. Now customers’ entire interaction history can be combined with diverse external and internal information sources to provide rich guidance for routing and handling each call. 2017 will be the year these technologies become mainstream, and to tie back to our first theme: they will be introduced primarily via cloud services due to the ease of introduction and deployment. The Public Switched Telephone Network (PSTN), the mainstay of communications for more than 100 years, is being phased out. It is an antiquated single purpose network with high maintenance costs, huge energy consumption and dwindling spare parts. Advances in IP terrestrial and mobile networks have made them by far the preferred medium for all communications, including real-time voice and video broadband. This technological transition is also driven by powerful end user shifts: fixed to mobile substitution, and demand for HD multimedia services. Regulators and service providers have been acting: Deutsche Telekom has stopped selling ISDN in Germany, has fully migrated Macedonia, Slovakia and Croatia to all IP, and full migration is targeted in 2018. In the U.S., multiple transition trials are underway and major carriers such as AT&T are targeting 2020 for a complete transition. And specifically in 2017, Swisscom is expected to become an all IP provider. There will be two major impacts in 2017: one will be a significant pickup in network transformation projects. The second will be to provide further triggers for businesses to migrate to all IP and cloud UC solutions. Messaging applications are becoming key to how workforces communicate and collaborate now and in the future. In Mary Meeker’s 2016 Internet Trends Report, the Kleiner Perkins Caufield & Byers (KPCB) venture capitalist notes that “Messaging is evolving from simple social conversations to business conversations.” Some businesses have tried to reduce their heavy email usage by deploying standalone messaging applications, but the inability of siloed messaging apps to integrate with other core communications and collaboration services means that the workforce spends more time toggling between applications than actually using them productively. Not to mention, the volume of messaging threads workers must manage and respond to quickly exceeded the number of emails. Teams and individuals need to move fluidly between messaging, sharing, calling and conferencing using various media. And throughout these interactions, they need access to persistent and shared context: emails, documents, contacts, and past communication history. While niche messaging players will continue to develop or acquire the missing communications components, enterprises in 2017 will gravitate towards mature and comprehensive solutions that can integrate messaging and collaboration with telephony, conferencing and other core business processes. Some businesses, particularly larger enterprises, have been reluctant to adopt multi-tenant public cloud services. Concerns about security, reliability and control have led to a preference for private cloud deployments. This, in turn, has meant missing out on some of the most fundamental benefits of the cloud revolution: drastically lower costs, no facilities to manage, and essentially unlimited scalability and elasticity. These barriers have also impacted Unified Communications as a Service (UCaaS): only very large enterprises could justify private cloud deployments, and service providers relied on their own private cloud for service delivery. Now public cloud momentum is increasing with both enterprises and service providers. This is driven primarily by a shift in perception on security. It’s becoming clear that public cloud is, in fact, superior: Its scale allows advanced and robust security measures, both computational and physical. And new technologies such as end-end encryption make the location of data irrelevant from a security perspective. In 2016 public cloud investment was almost double that for private cloud, according to Gartner. In 2017 expect to see some migration from private to public cloud, and a strong preference for public clouds in new deployments. This will lower costs and accelerate time to market. There are some drawbacks to cloud telephony, though – at the moment it is charged on a per user/per month basis, so unless you are a relatively large company with multiple hundreds of employees it often isn’t financially viable. We have looked at transitioning clients across to cloud telephony in the past and have always found that 3CX is preferable, both in terms of price, and adaptability. 3CX is hosted telephony but strictly speaking, doesn’t count as cloud. 3CX no longer requires you to buy a Windows licence and doesn’t require an on-premise phone system – you just make calls through your internet browser and headset. And better still, if you do want to buy a handset to use with 3CX and then decide the change system, the handset is compatible with a variety of systems.